There are some matches that are so perfect, you simply know right away that they are meant to be. Enter Emily and Jeff. 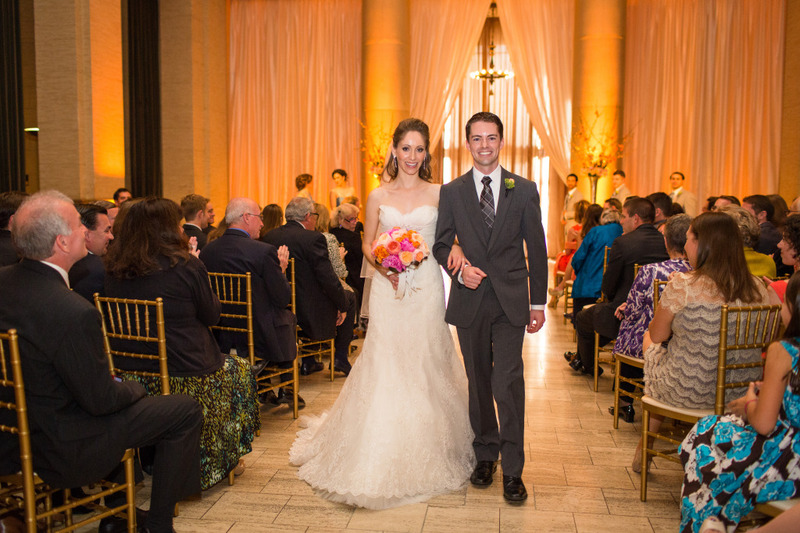 The couple met while attending the ivy clad campus of Princeton University, and realized soon after that they wanted to intertwine their lives. 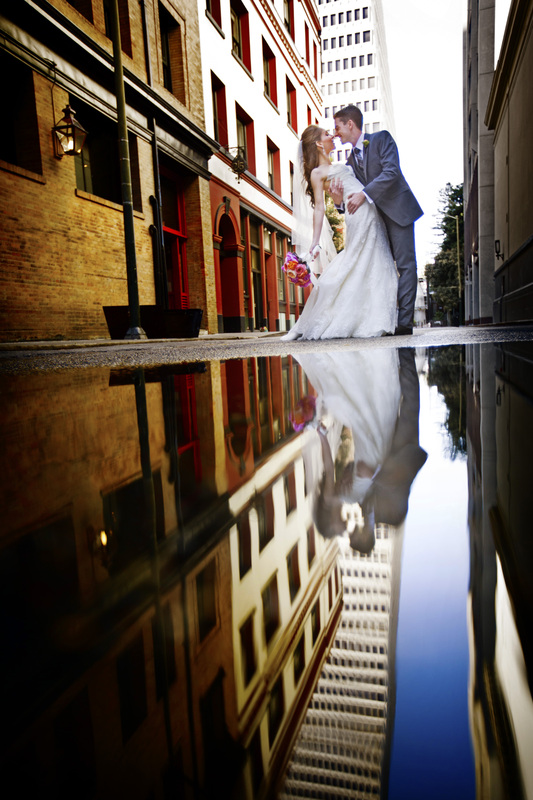 Late winter can be a gloomy time of year in San Francisco, but March 16th was the date the couple chose to be their forever-special day despite the chance of rain. Although a gray day did dawn, the inside of the Bently Reserve in the Financial District was bursting with color. 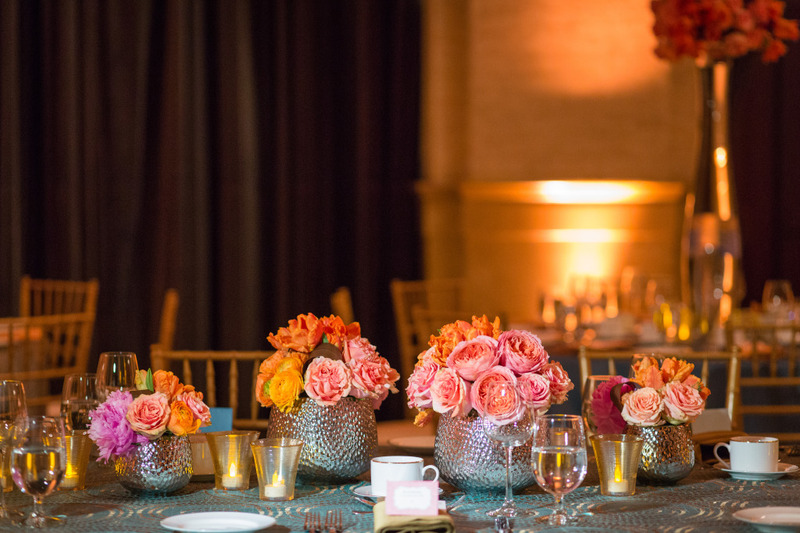 A medley of blues draped the bridesmaids, tables were clad in iridescent turquoise topped with cuisine by Back to Earth Catering and adorned with flowers by Hunt Littlefield that blossomed in every color of the rainbow. Add to that the golden glow created by Got Light? and the ambiance was anything but dreary. 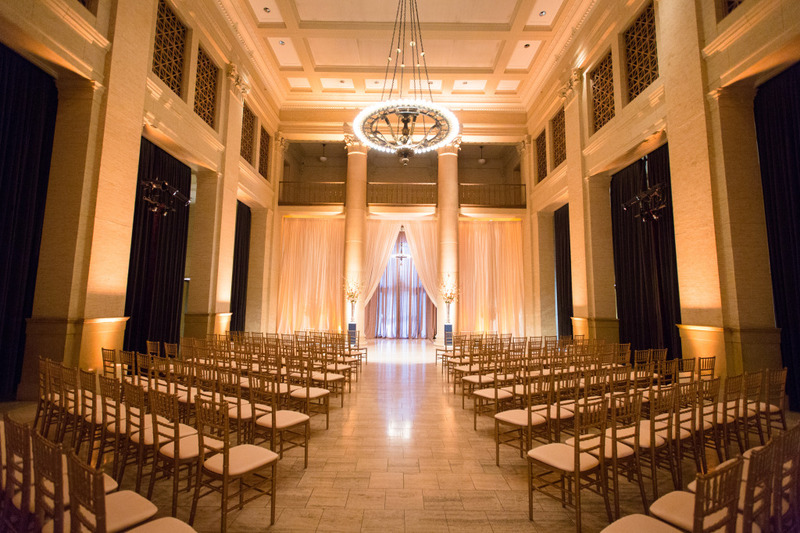 Love and laughter echoed through the historic space late into the night as the couple and their guests danced to music by Fog City Entertainment and indulged in scrumptious pies in lieu of a cake by Butter Love Bakeshop. 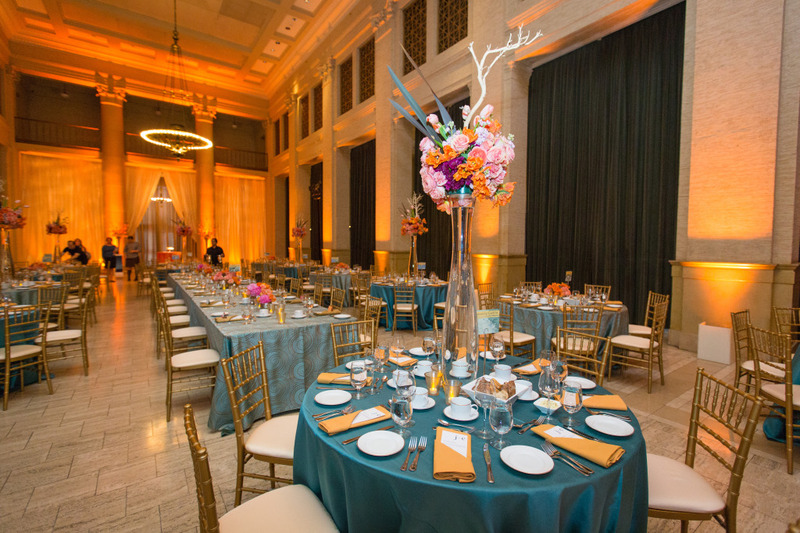 Photos by Choco Studio captured the enchanted evening, a St. Padddy’s Day Eve that Emily and Jeff will never forget. Little Blue Box Weddings wishes Emily and Jeff a happily ever after! 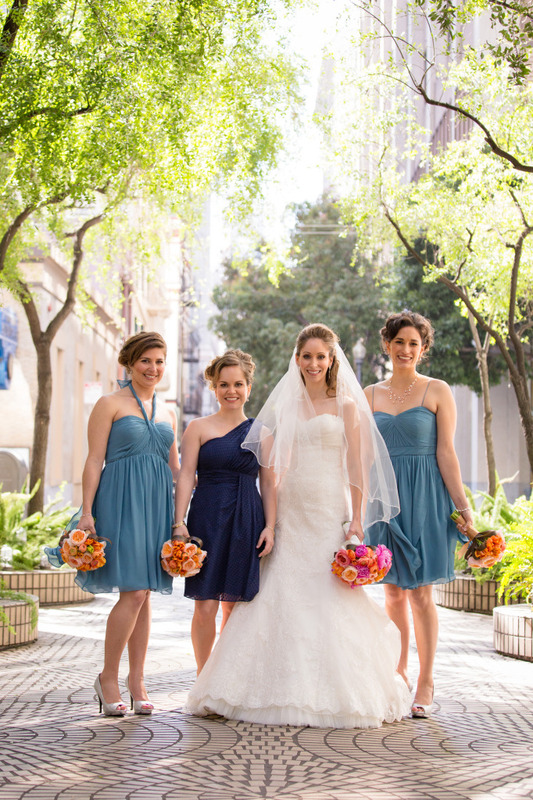 While Little Blue Box Weddings typically plans Napa and Sonoma wine country weddings, as you can see, we often plan weddings in San Francisco and beyond.